Happy Halloween! This is not my costume... I've kept a tight lid on tonight's Halloween chili cook-off theme. If you were to take a hint from this ensemble, you might think it involved wings. You'd be wrong. 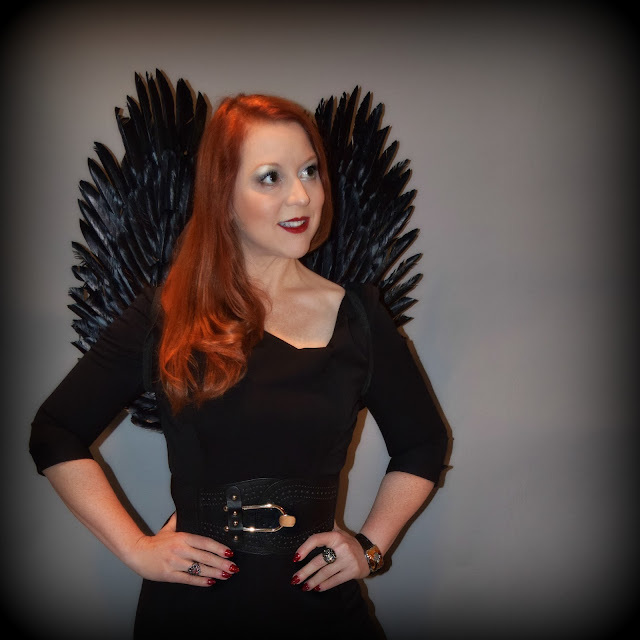 The wings are left-over from Halloweens past. They're sure to show up over and over again, but they are not in the All Hallow's celebration rotation this year. Yet, when I wore this jumpsuit by one of my favorite brands, Black Halo, earlier in the week, I couldn't help but think about them. I can't imagine why... Actually, I think about them every time I wear Black Halo. It's a word association thing, I guess. 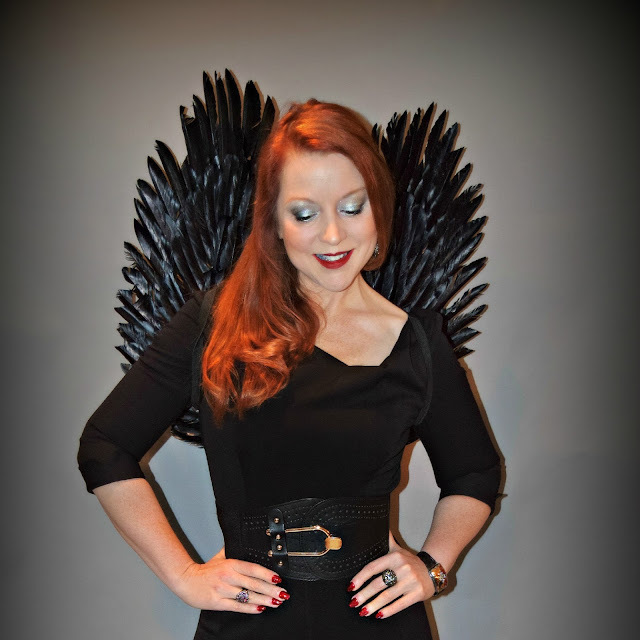 Ultimately, while the jumpsuit made it to the office, I had to clip the wings...they just don't fit in my car! 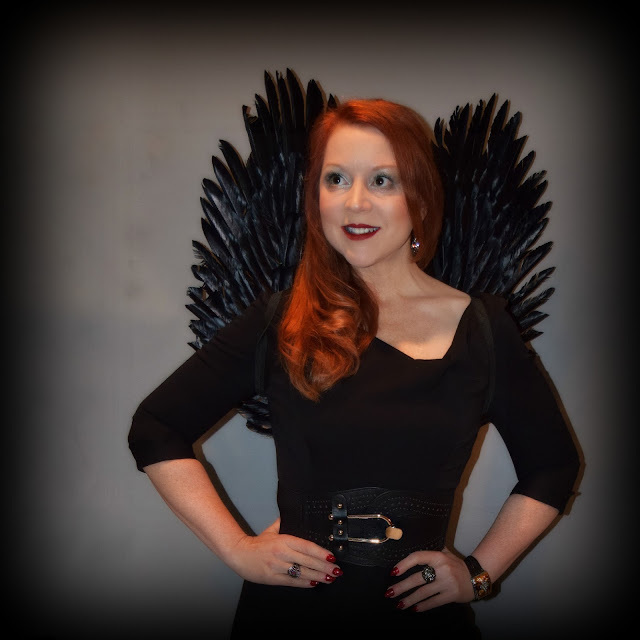 My hidden "dark angel" aside, if you're a fan of well-tailored, professional pieces in solid colors, you may find you love Black Halo as much as I do. The fabrics are high quality, and the details are exquisite without being over the top. Here, it's the asymmetrical neckline that makes it a standout piece. I like it so much I have a dress with the same neckline in navy blue. In Indianapolis, you can find the line downtown at Enza's Boutique, and on the northside at Profyle Boutique.